Shane Keith Warne is a former Australian international cricketer widely regarded as one of the greatest bowlers in the history of the game. In 2000, he was selected by a panel of cricket experts as one of the five Wisden Cricketers of the Century, the only specialist bowler selected in the quintet and the only one still playing at the time. He is also a cricket commentator and a professional poker player. 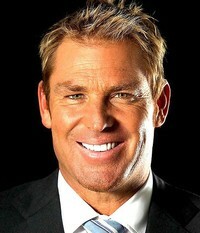 Warne is famous for having never scoring a Test century, although he came tantalizingly close on several occasions. He now wants to set the record straight by writing about a century of cricketing stars he has encountered during his illustrious career. The famous names featured here include fellow Australian legends Allan Border, Steve Waugh, Ricky Ponting, and Glenn McGrath, as well as adversaries such as Brian Lara, Sachin Tendulkar, Jonty Rhodes, and Freddie Flintoff. Warne also puts together a dream Test match of those he would have loved to have played alongside versus a team of international legends. Pulling no punches and giving a fascinating insight into the game, Warne serves up highly readable anecdotes and opinions. 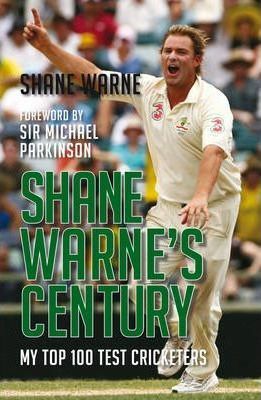 Throughout the book, Warne covers the serious issues affecting cricket today, such as cheating and match-fixing, and assesses a large number of professional relationships he has enjoyed and endured, including those with Sri Lankan star Arjuna Ranatunga and South African captain Graeme Smith.